For this reason, an entirely different approach has been pursued at TU Wien in collaboration with the industrial partner Sciotech Diagnostic Technologies GmbH. Instead of developing a drug that interferes with the immune system, TU Wien has created a simple medical product that directly attacks the gluten molecules to render them harmless. This makes the approval process much simpler, meaning that the product should be available in ordinary pharmacies as early as 2021. "Our bodies produce antibodies that fit intruding antigens precisely, like a key to a lock. 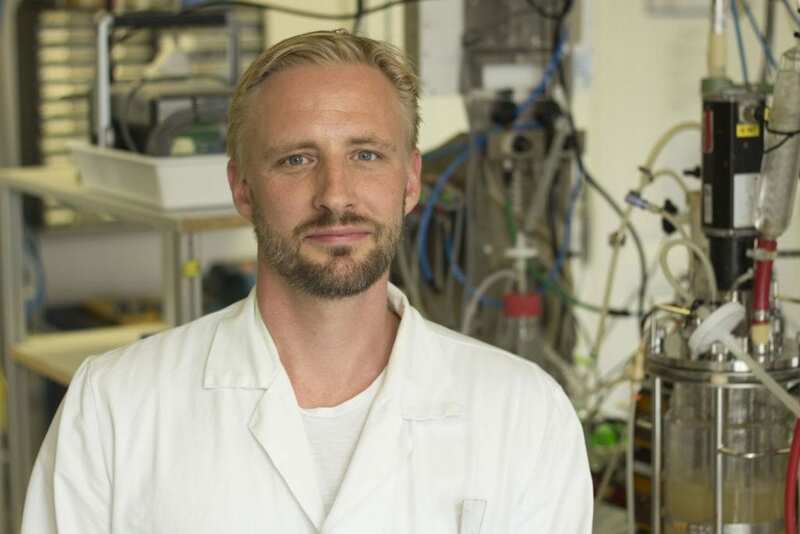 This immune response makes these antigens harmless," explains Professor Oliver Spadiut, head of the Integrated Bioprocess Development Research Group at TU Wien. "If a new antibody fragment is found and produced that docks to and blocks the invading gluten molecule without triggering the immune system, the symptoms of celiac disease can be suppressed." To do this, certain bacteria have to be reprogrammed so that they produce exactly the desired antibody fragment. "The formation of such proteins in a bacterium is a highly complicated process," explains Oliver Spadiut. "It can easily happen that the proteins are not folded exactly as we want." Instead of the desired antibody fragments, so-called "inclusion bodies" are formed – small particles consisting of incorrectly folded proteins. A process therefore had to be developed to refold these inclusion bodies and to obtain the desired proteins from them. Such processes, in which the folding of proteins is specifically altered, have not yet been studied in great detail and so they are not very efficient. "You have to precisely understand the chemical processes involved and intervene in a complicated way," says Oliver Spadiut. "It has therefore taken a while, but we have now developed a process that can be easily reproduced, can be scaled up to industrial application and delivers a very good yield of the desired product"
The project was supported by the industrial partner SCIOTEC Diagnostic Technologies GmbH, who will now bring the new medical product to the market. "It will be a preparation that celiac patients can take together with gluten-containing foods to alleviate coeliac symptoms," explains Oliver Spadiut. "It remains to be seen whether the symptoms will disappear completely or will only be alleviated. The precise effects will probably vary from person to person. In any case, we firmly expect the product to be available in ordinary pharmacies as early as 2021."